"I decided to take part in ORC Worlds because, even though I love Trieste, I have never taken part in a regatta in the sea here besides the Barcolana," says Onorato. Among the many titles he’s earned in his career (including the three consecutive World Championships in the Farr 40 class), he won the IMS World Championship for Offshore sailing in Newport in July 2000. It was there, during a conversation on the shady green lawn of the historic New York Yacht Club's Rhode Island headquarters that Onorato decided to participate in his first America's Cup in 2002 in New Zealand (following it up in Valencia in 2007). It seems that today, as it was back then, Sailing World Championships inspire Onorato’s passion for big challenges. "I want to send a clear message to Grant Dalton (CEO of Emirates Team New Zealand, Oracle Team USA challenger at the 35th America's Cup, taking place now in Bermuda with the Kiwis leading 4-1). 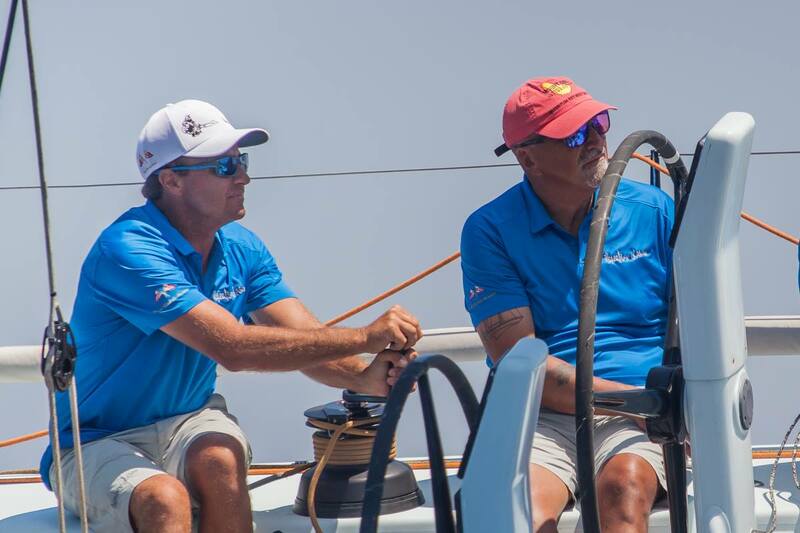 If the New Zealanders win America's Cup and have the courage to return to monohulls, with a box rule class like Tp60 or Tp65, Mascalzone Latino will definitely take part in the next America's Cup in New Zealand. The catamarans they use now make me sick. Have you ever seen a sailboat without a sheet? A helmsman with a steering wheel like a car full of buttons? There are also young guys with me, so I can’t deny that my opinion is a generational issue, but one thing is indisputable: we have lost the spirit of sailing, the gusto of the race against the boats nearby, the sea and the waves." After ORC Worlds Trieste 2017, Onorato will make his way down under. With his Cookson 50 Mascalzone Latino, he will participate in the Hong Kong to Vietnam Race and then, at the end of the year, to Sydney to Hobart. The distance from there to New Zealand is short, but it all depends on Grant Dalton.